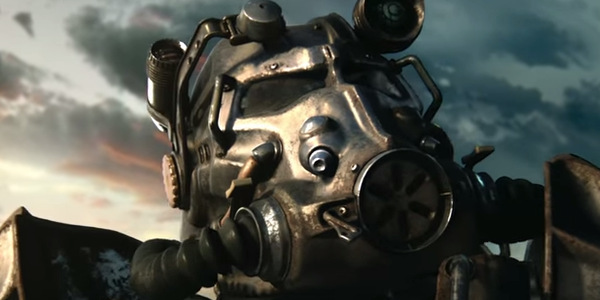 Bethesda has released a new live-action trailer for Fallout 4. The short video uses the sixties song "The Wanderer" by Dion to great effect. While there are brief touches of violence in the trailer, there are no extended fight scenes here. It's a much more subdued video. The vault dweller mostly just walks around. Still, the choice of song - coupled with the fact that this is Fallout 4, a game I'm very much looking forward to - made it an enjoyable watch for me. It's true to the game, too. Exploration is really a huge part of its appeal, perhaps even more so than combat. Fallout 4 is set in the Commonwealth, the area known before the nuclear apocalypse as Massachusetts. We haven't learned much about the central plot yet from Bethesda. The main storyline is rarely the focus for Bethesda's role-playing games, though. Instead, the games are about players being allowed to freely wander a massive area and find their own adventures. The game will officially debut on PS4, Xbox One and PC on November 10th. You can find out the exact launch time for your region here along with the system requirements if you're playing on PC. What did you think of the Fallout 4 live-action trailer?